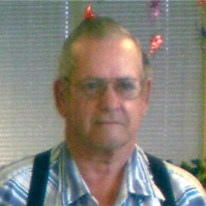 NASHUA — Dean E. Hammond, age 78, of Nashua, Iowa, died Sunday, May 21, 2017 at the Waverly Health Center. Funeral services will be held 2 p.m. Friday, May 26, 2017, at Hugeback Johnson Funeral Home – Olson Chapel in Nashua with the Rev. John Tunnicliff presiding. Inurnment will be held at Oak Hill Cemetery in Nashua. Friends may greet the family 5-7 p.m. Thursday, May 25, 2017, at Hugeback Johnson Funeral Home – Olson Chapel in Nashua. Visitation continues an hour prior to the service at the funeral home on Friday. Dean Earl Hammond was born Dec. 2, 1938, in rural Nashua, IA, the son of Gale and Alta (Rottink) Hammond. He was a graduate of Nashua High School in 1957. During his high school years, Dean worked with his brother, John, at a local fix-it shop repairing various items. Dean took a position with Northwestern Bell Telephone Company working as a lineman for several years in the Hampton area. Dean worked for a couple of years in road construction before he began working for Hydrotile in Nashua. He also farmed while working for Hydrotile. On Dec. 4, 1971, Dean was united in marriage to Diane LaBounty at the Little Brown Church in Nashua. The couple began milking cows and farming together. After several years of operating a large herd, Dean and the family moved south of Nashua where they downsized their milking operation. At this time Dean started a shoe store and repair business and also built tarps for semi trailers. He was a true handyman and could fix or repair just about anything. Dean had a passion for antique Case tractors, and spent time on the County Board of Trustees. They also built their current home with the help of family and friends. Dean’s biggest joy was time spent with his family. Dean is survived by his wife of 45 years, Diane; three sons, Bruce (Jolene) Hammond of Charles City, IA, Jeff (Becki) Berends of Nashua, IA, Joel (Lisa) Berends of Nashua, IA; three daughters, Valerie (David) Rhodus of Lawler, IA, Laura (David) Murphy of Ionia, IA, Amy (Luke) Hammond of Nashua, IA; 16 grandchildren and 25 great-grandchildren; sister-in-law, Twilla Meyer of Tiffin, IA. He was preceded in death by his parents; two brothers, John and Roger Hammond; sister, Gardys Hammond. This entry was posted in Obituaries and tagged Dean E. Hammond, Iowa, Nashua. Bookmark the permalink.